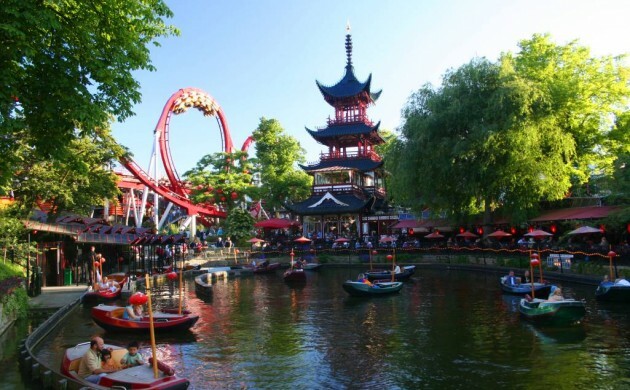 Tivoli is this summer challenging adrenaline junkies to prove their worth by staying on four of its rides longer than other fear-seekers. The two winners of the four qualifiers will then meet in a eight-rider finale on a ride called Vertigo to find Tivoli’s champion. “It is an endurance test,” the director of marketing, Thomas Erichsen, told Metroxpress. But ten rides won’t be nearly enough in this competition, as the rides will repeat for hours until only two guests are left. As the competition thins, the remaining challengers will have to perform feats to stay in contention – like holding a packet of popcorn without spilling. And then the two guests left on each ride will qualify for the grand finale, of which the winner will get free access to Tivoli for ten years. Morten Zacho, a sports physiologist at Rigshospital, told Metroxpress that the marathon is not as easy as it sounds and that the participants may feel sore for days after the challenge. “Those physically capable of being a fighter pilot will do best at this challenge,” he said.